Richard Burck Associates (RBA) is a landscape architecture firm of full-time design professionals located in the Boston metropolitan area. During the past 20 years, the office has conceived and implemented a broad range of projects throughout the eastern United States and beyond, taking on complex program and coordination issues related to challenging and significant sites. Our work ranges from urban and mixed-use to institutional and residential and includes master planning and landscape history assessments and reports. RBA develops clear design strategies to create functional and meaningful public and private spaces, regardless of project complexity. 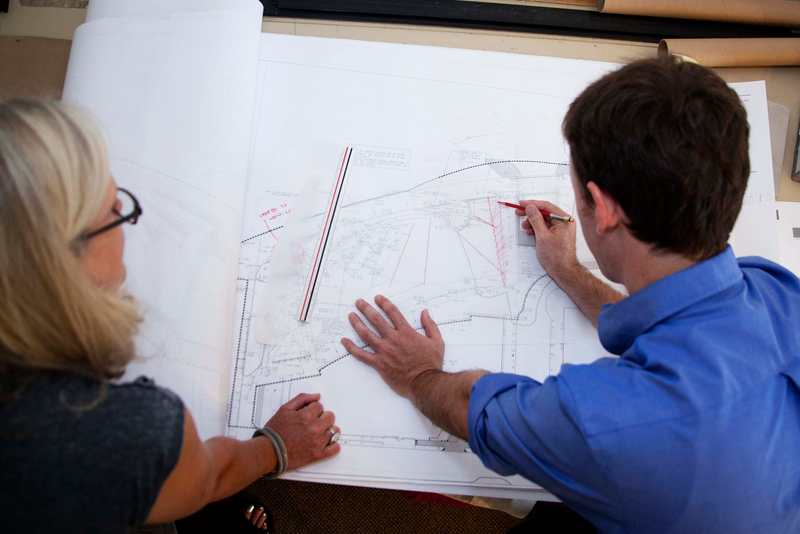 Our design solutions emphasize the qualities of local geography and place in the built environment and successfully address accessibility challenges, code issues, budgetary constraints and sustainability goals. We maintain a dynamic affiliation with a variety of distinguished architects, horticulturists, environmental consultants and engineers, collaborating to produce richly integrated built environments. RBA has demonstrated a commitment to sustainable design, employing several LEED®-accredited professionals and teaming up with other consultants to create high-performance green projects. We are on the forefront of emerging green roof technology and the design of gravity-based stormwater harvesting systems for passive irrigation in urban environments. The work of the firm has been recognized by The American Institute of Architects, The American Society of Landscape Architects, and Boston Society of Landscape Architects and has been featured in publications such as Landscape Architecture Magazine, Architectural Record, Domus and Progressive Architecture.